I assumed some electronical fault, a defective op amp etc. – after all, this Bass Station had been sleeping in a basement for about a dozen years, along with my beloved JEN and a couple of other old machines. In the end, it turned out to be a far more common problem: an incompetent user. And I fear that I may not be the only idiot in the world, and that quite a few of the Bass Stations sold as defective on Ebay are in perfect working condition. You only need to wake them up. 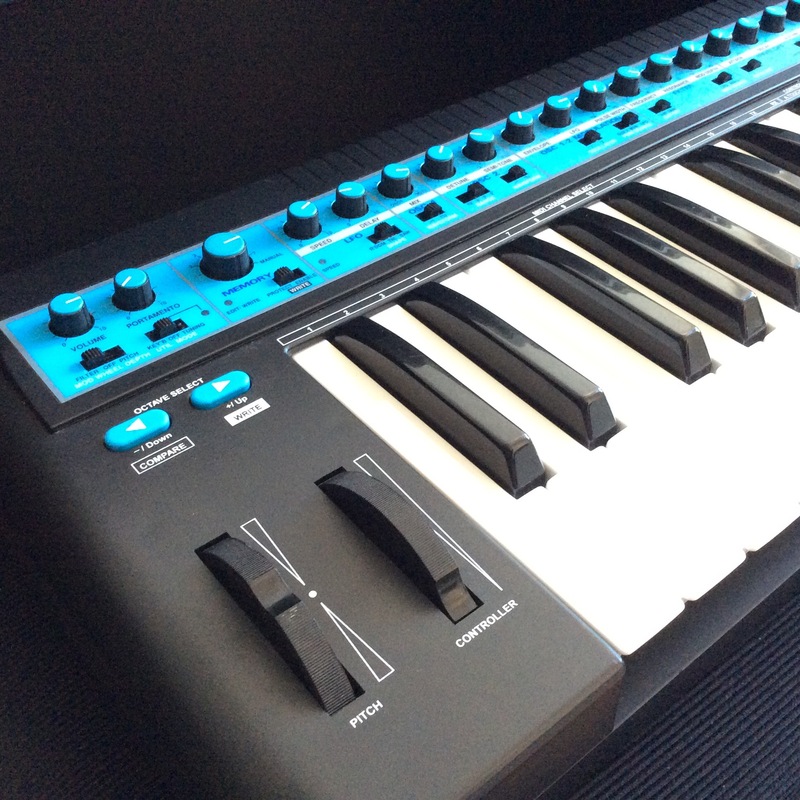 Actually, the problem is so common that it is listed in Novation Tech Support FAQ: The MIDI channels for input (Tx) and output (Rx) do not match, so the synth cannot be played with the built-in keyboard. Just like setting “Local Off”. Technically, the synth and the 25-key velocity-sensitive keyboard – quite nice actually for something that looks a lot like a toy – seem to be separate entities. Set the “Util. Mode” switch on the top left of the synth to the leftmost position (“KEY B”). 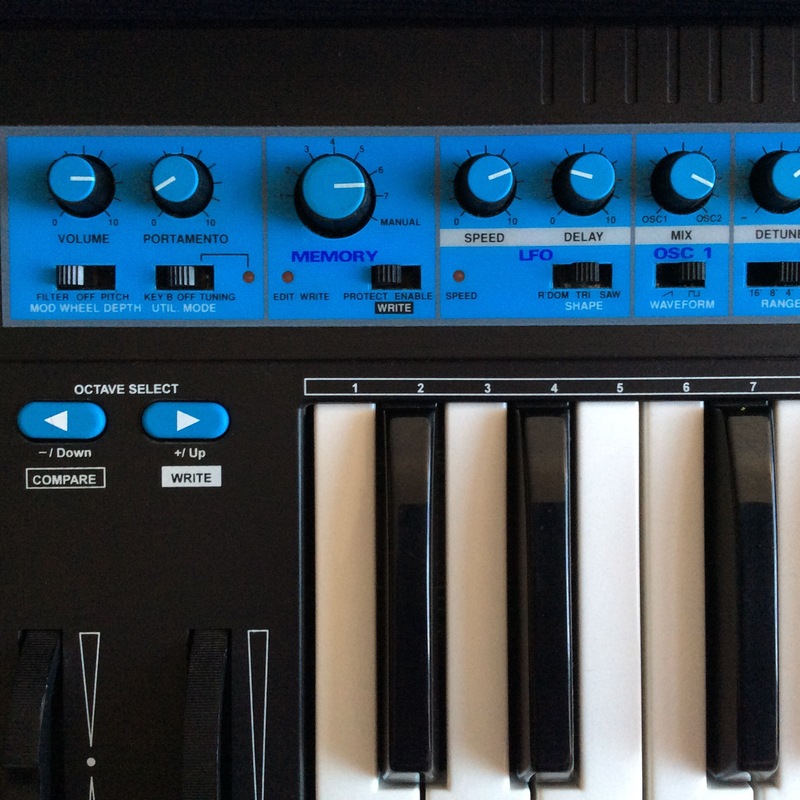 Press the high E key – it is labeled “TX” – to tell the synth to set the MIDI Send channel. Press the leftmost C key on the keyboard labeled “1”. The keyboard sends on MIDI channel 1 now. Press the high F key – it is labeled “RX” – to tell the synth to set the MIDI Receive channel. Press the leftmost C key once more to set the synth engine to receive MIDI on channel 1 – where the internal keyboard is sending. You may use any other channel than 1, of course. Another problem may be a faulty 1/4″ output socket. As always, this is best solved by cleaning or, if that does not help, replacing the socket. My father’s wisdom holds once again: Most problems with failing tech are connected to connectors, or switches, or user error. This entry was posted in Maschinelles, Musik and tagged Novation Bass Station, Repair, Synthesizer by untergeek. Bookmark the permalink. Have you set the TX and RX midi channel on the same number? The BassStation is such a Beast! Even if you just Dig on the Surface of editing, it sounds amazing and offers a wide Range of Sounds. Love it, and it loves YOU! Once there were Editors and Patch Librarians to be found in the Net, but all the Links are dead/404 now. Maybe someone has a copy of the Stuff? Mail me at rincey (ött) web (dött) de for hints, or exchange on making Noize out of old and beaten Gear by misusing it.